PULLMAN, WASH. – When Davi Kallman was a second-grader in El Paso, Texas, her teacher pulled her from the classroom one day to tell her she was “retarded” and would have to drop to a lower grade. Now pursuing a doctoral degree at Washington State University, she has proven that teacher wrong. Not only was the instructor’s diagnosis of retardation derogatory and insulting, it was untrue. After Kallman’s mother moved her to another school and had her tested, she was diagnosed with severe dyslexia – a condition where the brain is wired in a way that makes it hard to process and retain words and figures. With help from a specialized tutor, she learned to spell words phonetically, problem-solve in pictures and take meticulous notes. Where words once challenged her, today they are her strong ally. As a Ph.D. student with a 4.0 grade-point average at WSU’s Edward R. Murrow College of Communication, Kallman, 27, studies ways to harness the power of the media to change people’s perceptions of individuals with disabilities. Weaving an “I’ve-been-there” perspective into her research, she analyzes disability stereotypes and produces videos to try to counter them. “By portraying the ‘abilities’ part of disabilities, I’m seeing if – by using positive images in the media – we can reduce prejudices and negative stereotypes of people with disabilities,” she said. Too often, she said, characters are portrayed as pitiful or pathetic – Tiny Tim in “A Christmas Carol” and Quasimodo in “The Hunchback of Notre Dame” – or sinister – the Joker in “The Dark Knight” who has schizophrenia and Dr. Loveless in the “Wild, Wild West” who has no legs. She’s casting the lens in another direction by producing videos showing what people with disabilities can do, not what they can’t. 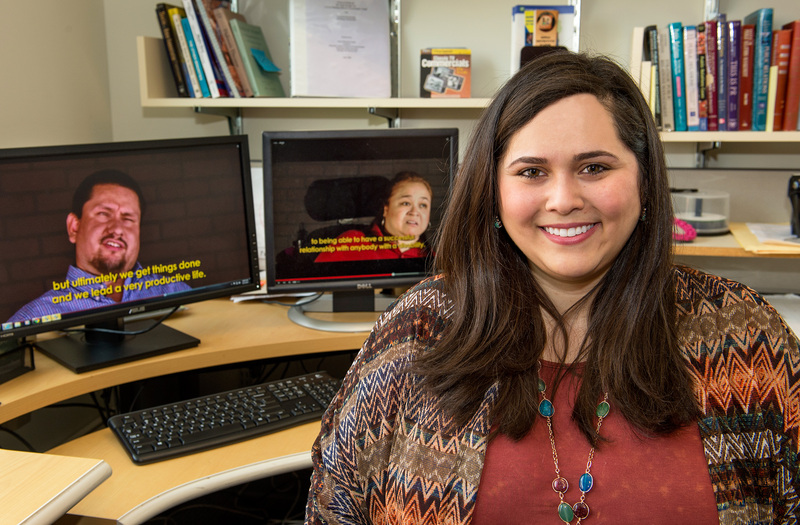 She researches the videos’ impact on undergraduate students at WSU who don’t have disabilities. “I am … Abled” is one of those videos. Shot when she was a student at the University of Texas at El Paso, it features three students with disabilities: Isaac is blind, Elisa has the autoimmune disease lupus and Joann has cerebral palsy. Kallman also is developing a media literacy curriculum where students analyze social and political implications of mass-media messages with an emphasis on portrayals of people with disabilities. “I’m not aware of this being done at any school, anywhere,” said her WSU doctoral advisor, professor Erica Weintraub Austin. 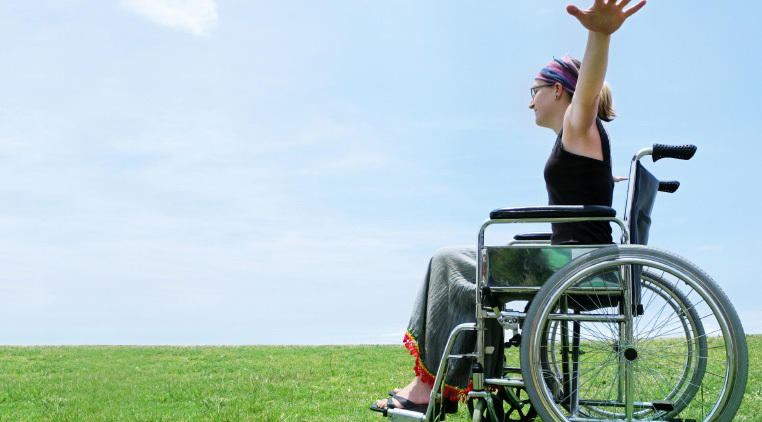 Disabilities is the only minority group that any person can enter at any time – whether at birth, resulting from illness or an accident or simply by growing old, said Kallman. Obviously, the number of people portrayed with disabilities in the media falls far short of real life, she said. Kallman, who sometimes must re-read words and often inverts numbers, has learned to regard her dyslexia not as a learning disability but as a learning difference. After she earns her Ph.D. next year, she plans to teach in higher education and serve as an advocate for the disabled population, “working to change perceptions and policies along the way,” she said.